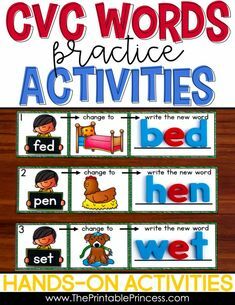 When young readers are ready to tackle putting together their very first words, the simplest way to begin is with CVC words. It’s an exciting time when students make the transition from recognizing and identifying letters and associating those letters with unique sounds to sounding out simple words. 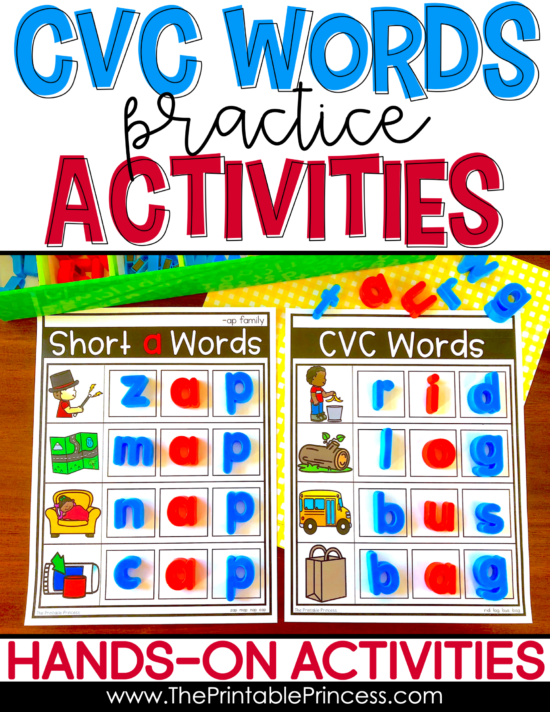 I wanted to share some of my favorite CVC activities. Be sure to check out the freebie towards the end of this post. 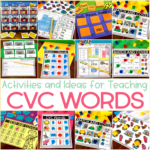 Before we talk about how to teach CVC words and share some CVC activities- let’s answer the questions: What are CVC words? How do you know when students are ready for CVC words? And why is it important to teach CVC words? 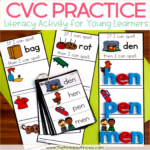 Simply put, CVC words are basic, three-letter words that begin with a consonant, have a single letter short vowel sound, and end with a consonant. They are simple to sound out because they don’t include any of the tricky blends or diphthongs commonly found in the English language. How do you know a student is ready for CVC words? 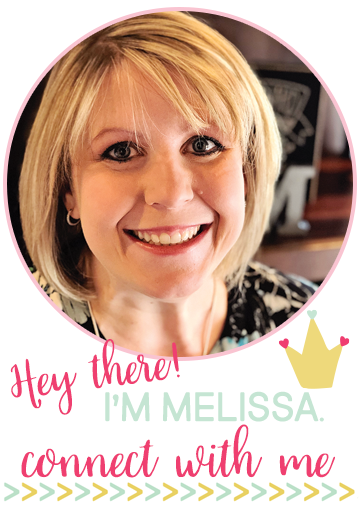 Once your students have built a strong foundation in letter-sound (phonemic) awareness, you can begin teaching CVC words. 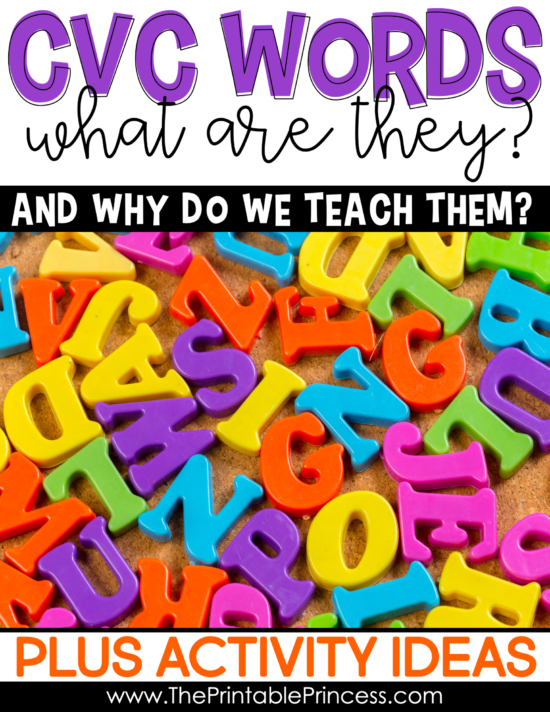 Why is it important to teach CVC words? 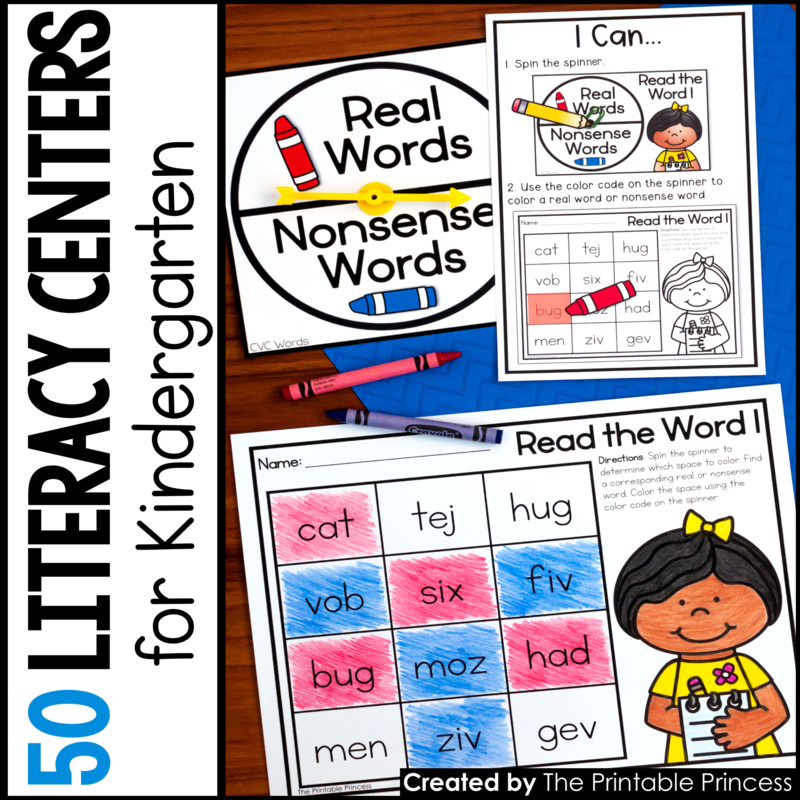 Teaching CVC words introduces students to the magic of transforming simple sounds into words and is an integral part of any pre-reading program. 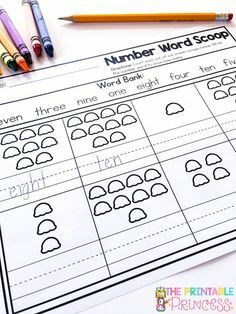 The goal is for students to use their knowledge of individual letter sounds to blend those sounds together and create a whole word, not just three individual sounds. Learning CVC words introduces students to the concept that words have a beginning, middle and ending sound that together create a word. What is the best way to teach CVC words? As I’ve said before, if you were to ask this question to five teachers, you would probably get five different answers. 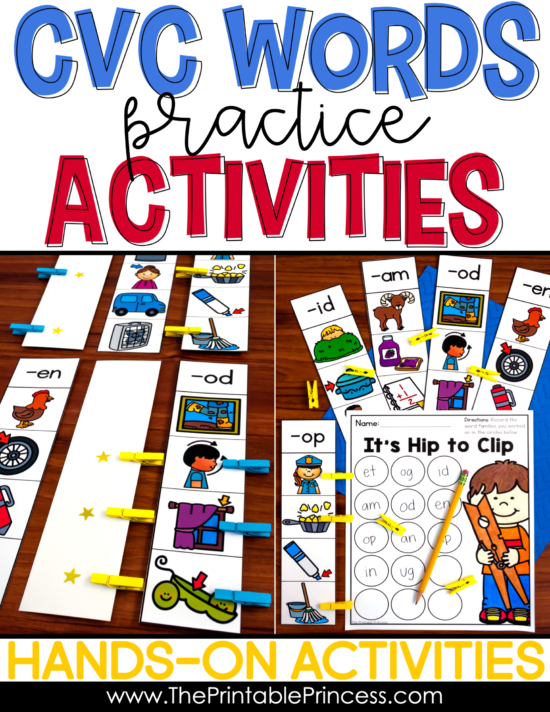 But again, I think that we all would agree that providing activities that make CVC word learning fun and hands-on is the best way to engage young readers. 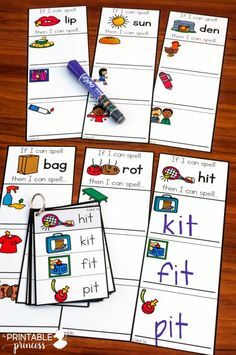 One important note: Using pictures and letters together to support word learning is especially helpful at this step of the process as students create a link between the visual image and the corresponding words that they build. 1. Build with magnetic letters. The possibilities of building CVC words with magnet letters are endless. 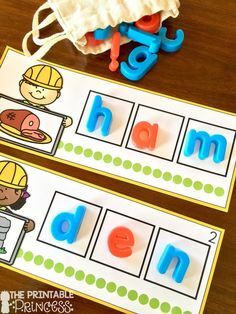 A set of lowercase magnetic letters is one of those must-have supplies when teaching CVC words. Students can use them to build words or manipulate the sounds in words as they sharpen their skills. 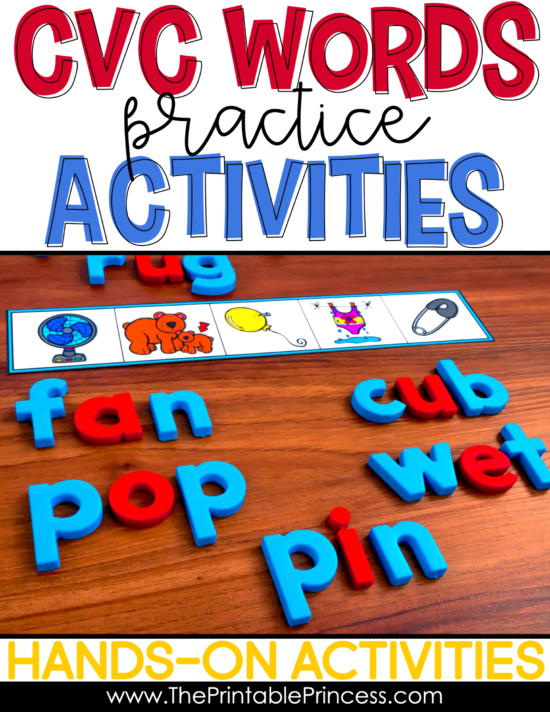 You’ll notice a lot of my favorite activities use magnetic letters. This set of magnetic letter mats includes over 50 practice mats. They provide practice grouped by word families, by vowel, and mixed practice – which means they are great for differentiating instruction. It’s part of our big CVC Bundle. Any activity that uses play-dough is a surefire hit with young learners! For this activity, give each student a ball of play-dough to roll out flat. Then, working together or individually with a word list, students will read each CVC word then stamp out the word with plastic letter stamps into the play-dough. It doesn’t matter what time of year it is, kids love plastic eggs. Plastic eggs are an easy way to create engaging word work activities. 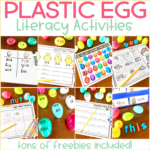 From word families to real and nonsense words, you can use plastic eggs for a multitude of skills. I’ve shared a bunch of DIY ideas in this blog post plus included several free recording sheets. Once students have a solid understanding of CVC words, phoneme manipulation is another important skill that they must master. It is the easiest to introduce it in CVC words. This is probably one of my favorite skills to teach. The look on a child’s face when they realize you can make a brand new word by changing just ONE letter is priceless. 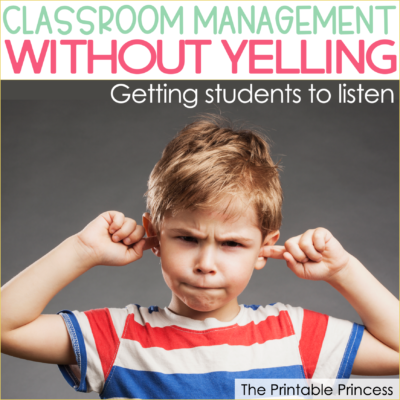 I introduce this skill by having students change the beginning sound first. 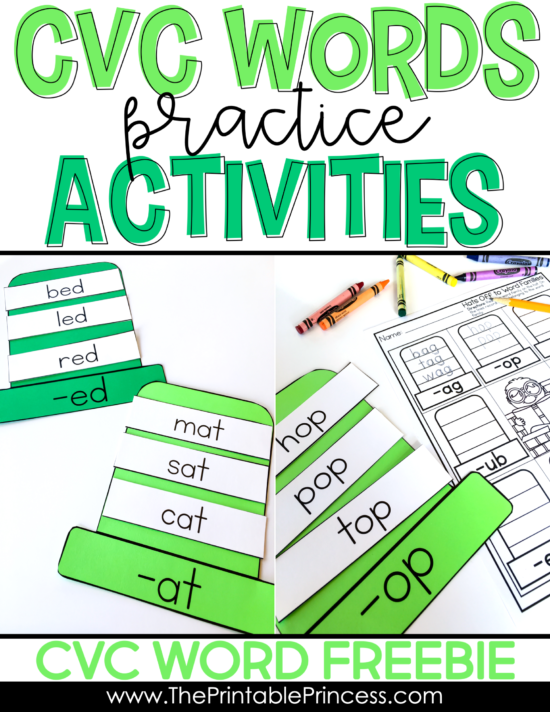 Give students a CVC word and have them build it using magnetic letters, letter tiles, etc. Give students a new word and show them how they can build the new word by changing just one sound. 5. Create a wall chart. I don’t know about you, but seeing how far I’ve come is a great encouragement to me. Your students are no different. As your class learns a word family or a new group of CVC words, create a chart and hang those words on the wall. Add to the list as new words are learned. Students love being able to visually “see” how many words they can read. Plus it makes a great “read the room” center! Secret code activities are a crowd favorite. 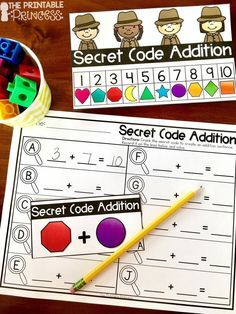 Students have so much fun cracking the code that they don’t realize they are actually learning (and reviewing beginning sounds). Students identify the beginning sound of each picture to crack the code and spell a secret CVC word. Then they have to read the word to match the CVC picture card to the secret code card. There is a beginning sound cheat-sheet included for students who need a little extra support. 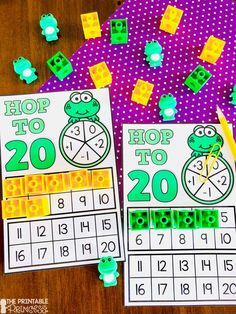 These cards are a fun way for students to practice and they make great morning tub activity. A fly swatter is all you need for this activity! This game is great for building speed with decoding CVC words. Swat the word works well as a small group or whole group activity. To set up the game, you’ll need to write a few CVC words on the board. Select one student to play. Call out a word and have them quickly swat the word. To make the activity more challenging, call two students up and let them race to be the first to swat the CVC word. 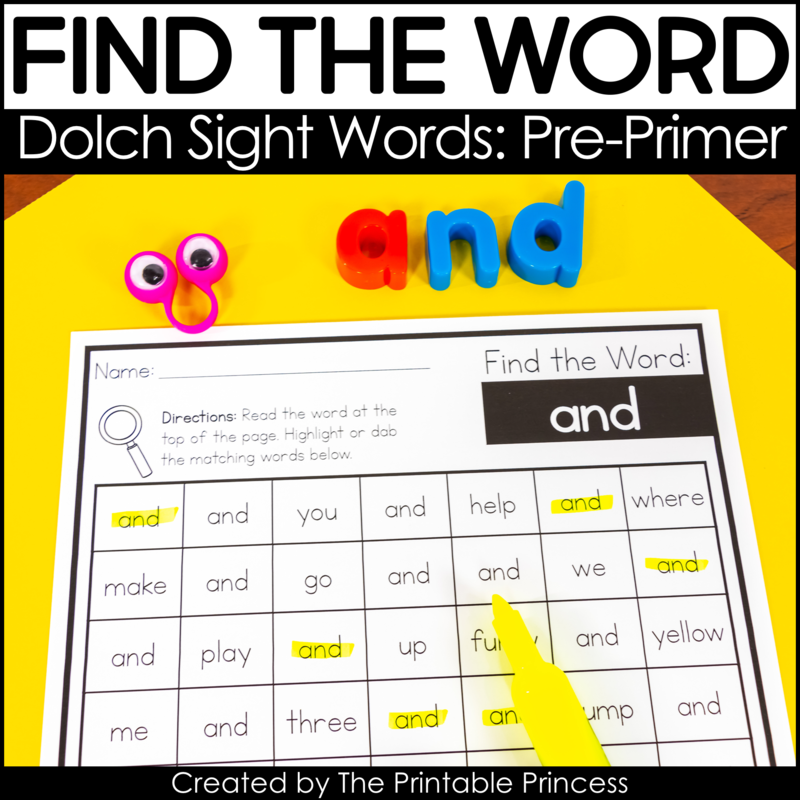 Great for fine motor skills as well as CVC word learning, this activity is a fun one to include in literacy centers. Students read the word family (for example, -ab or -ip) at the top of the card. Then they use clothespins to “clip” the pictures (out of four choices) that belong to that word family. I love how you can easily make this Hip to Clip activity self-checking by adding stickers on the back before laminating. 9. Build with letter blocks. 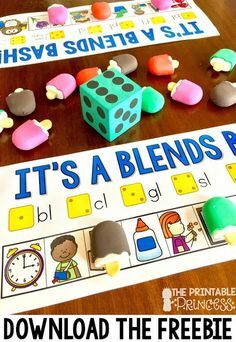 Use plastic CVC cubes to have students practice putting together different CVC words. 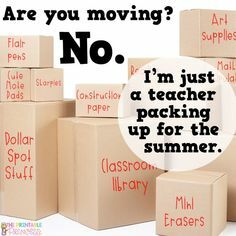 You can certainly make your own with cubes you already have in your classroom. Simply call out a word or say the sounds such as /m/ /a/ /p/ and have students link the cubes together to spell a word. Once students begin to have a solid understanding of CVC words, it’s important that we build fluency. We want our students to be able to quickly decode and spell CVC words. This activity is one of my favorites building CVC fluency. 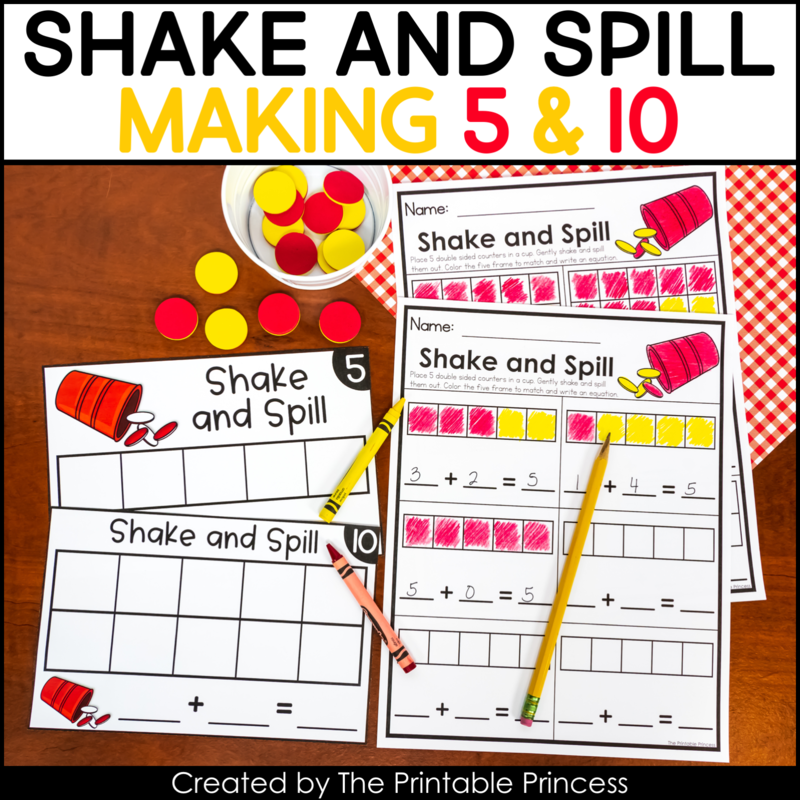 It includes recording sheets so you can use it as a center, or have students use magnetic letters to build the words on the strip. 11. Spell it with pool noodles. You will need two different color pool noodles, one for vowels and one for consonants. You will also need a container like a dish pan to store the pool noodles. Cut each pool noodle into 1″ – 1 1/2″ “slices”. Cut a slit in each “slice” in the back (so students can “hook” it on the side the dish pan). Write a letter on each of the pool noodle slices, using one color pool noodle for vowels and the other color for the consonants. Provide students with pictures or a word list so they can build the words. They will hook the letters on the side of the container as they spell the words. If you’re reading this in the middle of winter, and pool noodles are no where to be found, you can find pool noodles on Amazon year-round! 12. Use a bingo dabber. 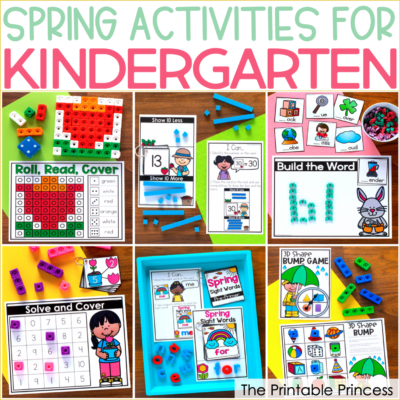 Another fun one that employs fine motor skills! Students flip a card from a deck of CVC words or pictures, then use a bingo dabber to mark the correct word on their paper. 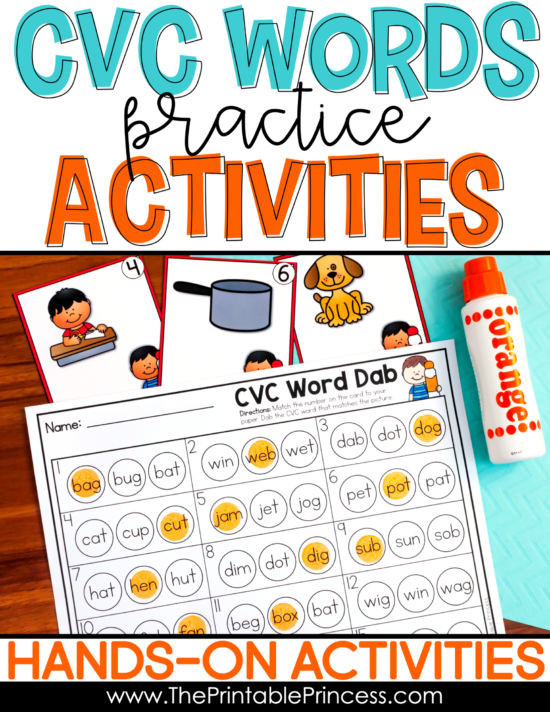 This A Dab of CVC Words resource includes centers and no prep pages all using bingo dabbers. 13. Make it hands on. Shaving cream is one of my favorite ways to practice word work, or specifically CVC words. It’s hands on, kids LOVE it, and it leaves to classroom smelling so good. Squirt a little bit of shaving cream in front of each student. Have students spread the shaving cream to form a layer over the top of their desk or work area. Call out a CVC word and have students spell the words by writing it in shaving cream. Play dough and salt trays are also great for this type of practice. 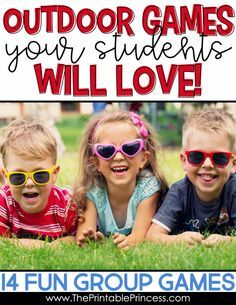 Just be sure to have a conversation with your students about not touching their eyes while engaging in these activities. 14. Create word family hats. 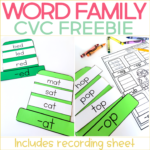 This word family hat freebie makes a great center for practicing CVC words. You can print the hats on colored card stock and make them whatever color you’d like. Although you might want to leave the word strips white so they can easily be read by students. This freebie also includes a recording sheet to hold students accountable in the center. You can download your copy of the Word Family Hats freebie by clicking here. Beginning the journey into the magic of reading can be fun and easy for your young students. 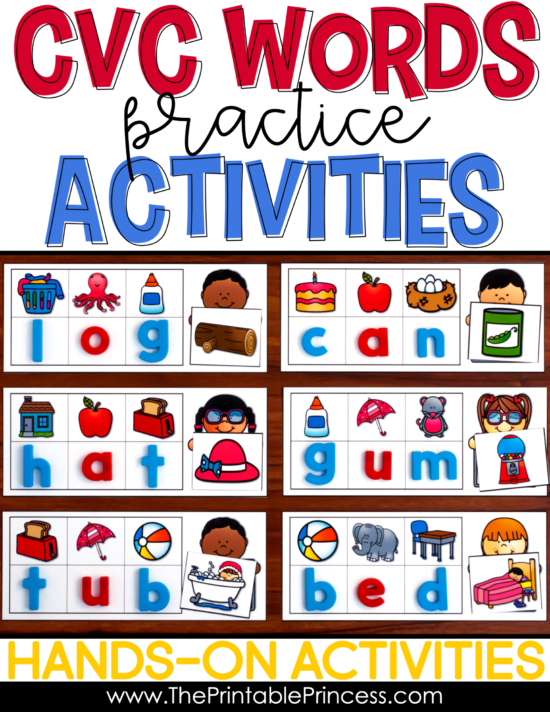 Hopefully once students catch on, they will be intrinsically motivated by the thrill of creating words to explore all of these activities, and more, to build the skills they’ll need to be successful readers.